Singing is a vital component to our corporate worship. As God's people, redeemed by Jesus, we have a great deal to sing about. 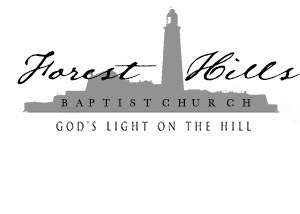 Forest Hills provides many opportunities for you to use your musical talents for God's glory. Forest Hills Baptist Church has a full choir that often sings during our morning worship service. They rehearse on Wednesday nights from 7:30 PM to 8 PM every Wednesday night. On Sunday mornings we have a praise team called Willing that regularly leads us in corporate singing. If you are interested in participating in the Willing Team contact Jennifer Bryant. Our Senior Adult choir meets for rehearsals Tuesday mornings at 10 AM. This choir is led by a member of Forest Hills, Lynn Anders. The accompanist is Susan Currie. The choir is open to all as they sing together some of the classic hymns in choral arrangements.